Across the country, “back to school” brings to mind students scurrying around in the last days of summer, frantically preparing to change course and buckle down to work. But before those students wander back to a structure of school and study, someone else has long been back at work, making preparations that educational systems cannot do without – school nutritionists. Ashley Powell is the child nutrition director for Auburn City Schools. Brindlea Griffin heads up child nutrition, health services, and community education for the Phenix City School System. 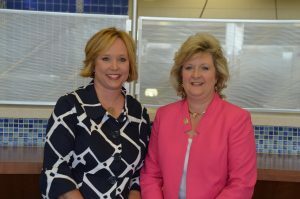 Both have connections to the Adult Education program in the COE’s Department of Educational Foundations, Leadership and Technology; Powell is a doctoral candidate, and Griffin earned her doctorate there, Finally. both have long family histories associated with Auburn. Likewise, both of Griffin’s parents are Auburn grads, including her mother, whose M.Ed came from the College of Education. Griffin herself is a five-time Auburn graduate. In terms of their job duties, passions, and the number of students they serve, Griffin and Powell have much in common. 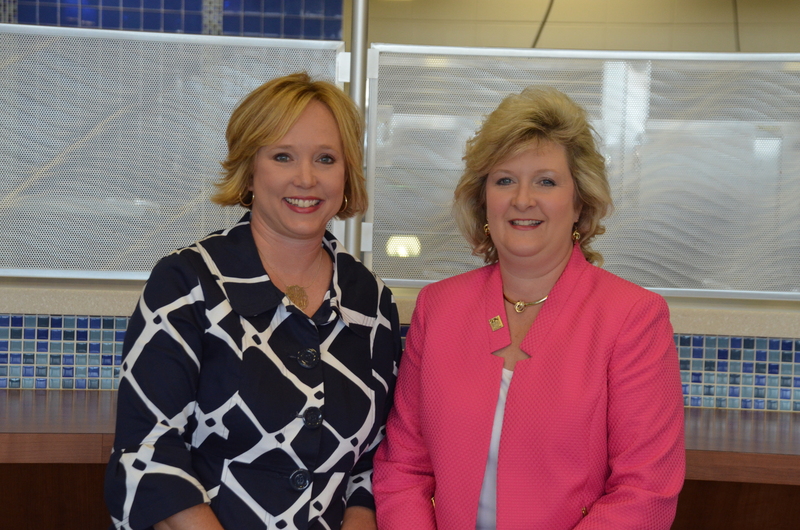 Griffin presently serves as president of the Alabama School Nutrition Board; Powell is the incoming vice-president. In these roles they both promote the importance of school nutrition statewide, and place a heavy emphasis on professional development for their colleagues. Phenix City serves about 7,000 students, Auburn about 8,000. 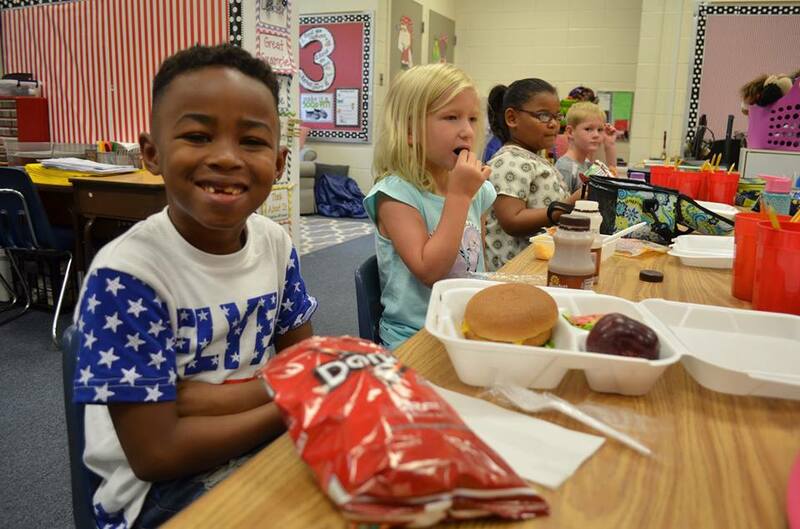 A big difference in their respective systems, however, points up another aspect of school nutrition that plays an increasingly critical role in Alabama and across the country: students who live with food insecurity. Griffin said many, maybe most, of these children would have no food at all if it weren’t for this service. 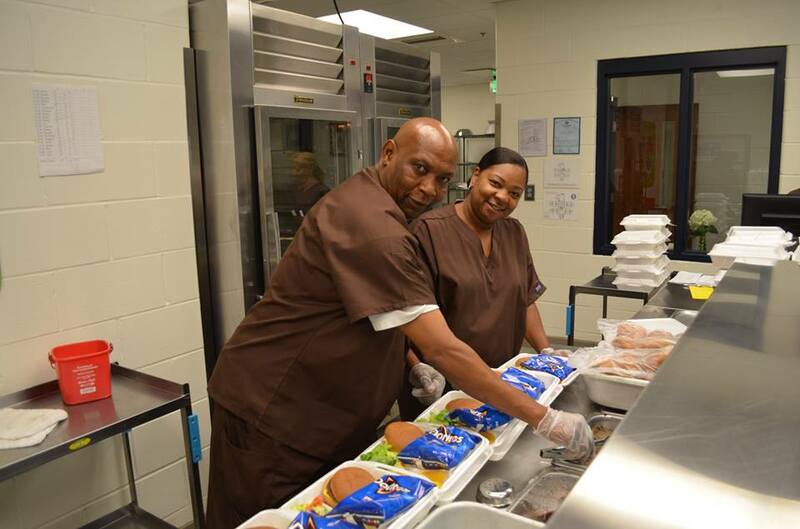 Both systems have backpack food programs every Friday to ensure their students will have food over the weekend. 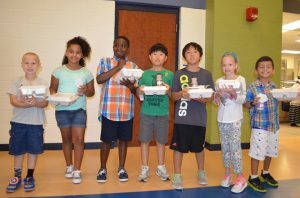 This is especially true for grades K-5, as the older children often feel peer pressure and stigma about taking food home. Much of this support comes from churches. The Jason Duffner Foundation feeds lots of kids in Auburn. Griffin also noted there is less plate waste at “hungrier” schools. To ensure that stigma is not part of the daily lunch line routine, each student has a PIN number that is entered at check out, so no one can tell if they are receiving free or reduced lunch. Back in the day, everyone ate the same thing, system-wide, like it or not. That’s no longer the case. Improved child nutrition is the focus of the Healthy Hunger-Free Kids Act of 2010, which establishes nutrition standards for schools. Both Griffin and Powell know that healthy eating can make it hard to please picky eaters. Nutritionists also work to educate students about healthy eating. Both women also emphasize the importance of their professional staffs. With hundreds of students filing through the lunch lines in 20-minute shifts, it’s high pressure.